After World War II Germany was set up as a federal state in order to keep it from again becoming a centralised war machine as it had been under both the Kaiser and Hitler. A further impediment to national unity was the deliberately overlapping competencies in key areas like finance between the national and state governments (Länder). This bureaucratic thicket led the Vatican to conclude concordats, with both the national government (the "Hitler concordat") and the postwar federated states (Länder). The fall of the Wall separating East and West Germany in 1989, added five new states to the federation, bringing the number up to 16 and setting off another round of concordats. §4 lets the Catholic Church teach religion in state schools. As a result the state must set up university training for these teachers and employ them everywhere in order to serve a mere 3% of the population. §8 ensures that there are Catholic chaplains in hospitals, prisons, care homes, etc. This means that information about the religion of the patients is given to the chaplain and he ministers to them unless the patient objects. This opens the way for deathbed bequests to the Church from people who are terrified of the torments of Hell. §11 cements dioceses, parishes and other Church institutions as public corporations. This brings the money and privileges that accrue to German "officials". It also makes all these Church institutions tax-free. §15 obliges the state to pay a million euros every year for Church administration and the salaries of the priests, and another hundred thousand for building maintenance, with these payments to be increased after five years. The concordat texts are in German only, unless otherwise indicated, and the dates are for the signature of the concordats, not for their ratification (or for their enabling legislation, which introduces some of the concordat texts below). Prussia (Preuβen), 14 June 1929 Prussia is long gone, but parts of this concordat are embedded in the concordats of the states that succeeded it. The Pontifical Gregorian University in Rome has a list of the 51 German concordats in force in 2013. 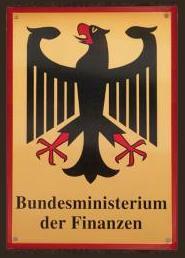 There is a website for the German Embassy to the Holy See (Deutsche Botschaft beim Heiligen Stuhl).